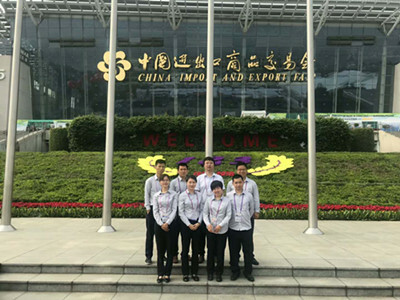 On April 15-19, 2018, the 123rd China Import and Export Fair (Canton Fair) was held in Guangzhou. The Canton Fair is a high-quality platform for Chinese enterprises to explore the international market, as well as a guide and demonstration base for China’s foreign trade development strategy. 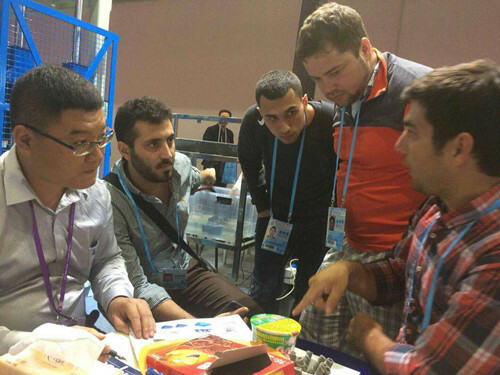 Nearly 25,000 domestic and foreign enterprises participate in the Fair. 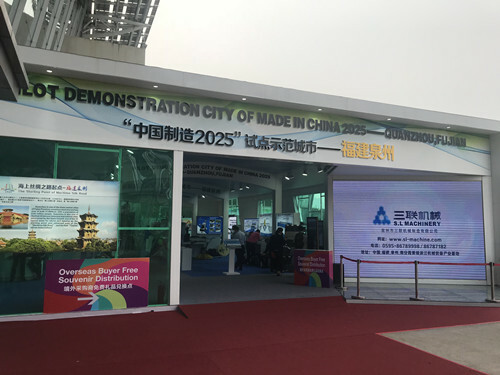 As a comprehensive international trade event with the longest history, highest level, largest scale, the most complete product range, the largest number of buyers at the conference, the widest distribution region, and the best transaction results in China, it has been held for 61 years with its top of scale , Become an unstoppable exhibition for merchants all over the world. 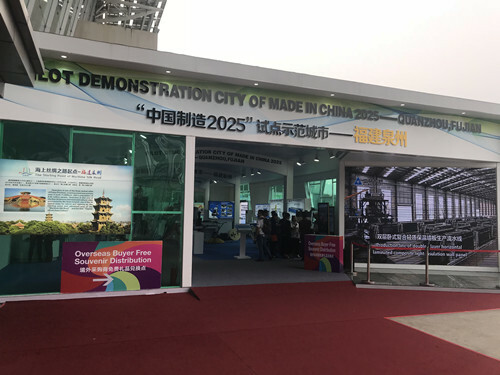 As soon as the exhibition kicked off, S.L Machinery and its products quickly became the focus of the visitors as a "Made in China 2025" demonstration company. 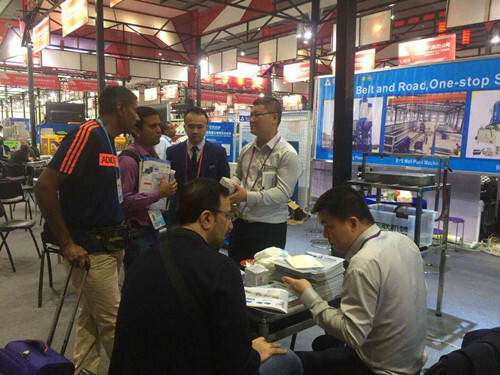 Buyers from Indonesia, Pakistan, Bolivia and many other countries visited the S.L Machinery booth and came to consult our products. 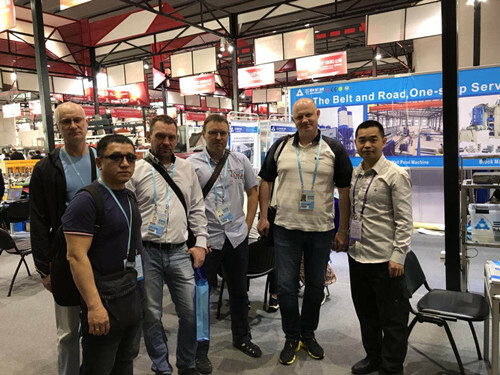 The indoor booths were crowded and new customers attracted great attention to the performance and technical aspects of the products. 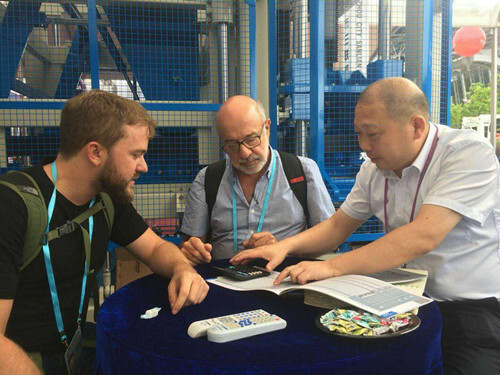 We answered the questions concerning the new customers’ technology and the service of the products one by one, which demonstrated the company's leading technology. Advantages and excellent staff, excellent equipment, advanced technology, first-class standards, strict management, and perfect service system. The outdoor booths are crowded with people. 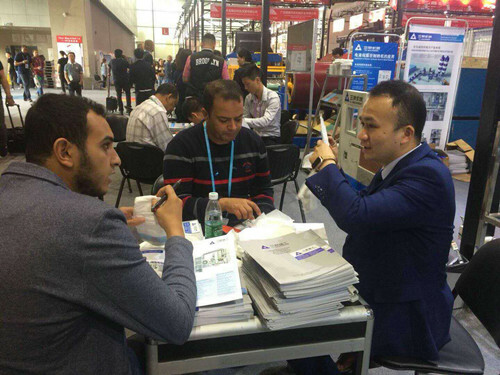 At the exhibition, we had face-to-face negotiations with old customers from all over the world. We took a proactive view of the customer from the perspective of the customer's needs and gave professional technical advice on the project. In-depth cooperation in the future reached consensus. 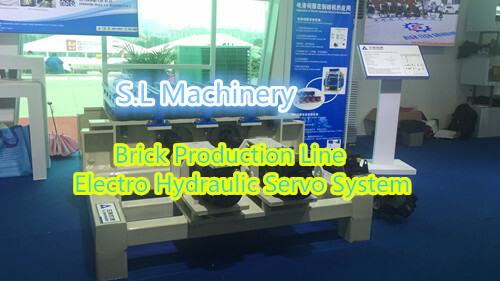 The “electric hydraulic servo system” launched by S.L Machinery at this exhibition is an automatic control system. In this system, the actuator can automatically, quickly and accurately act according to the changing rules of the input signal. At the same time, the system also plays a role in amplifying the signal power. The electric hydraulic servo system combines the advantages of both electrical and hydraulic pressures. It has high pressure retention accuracy, precise control, fast response speed, energy saving and environmental protection, high output power, high product qualification rate, flexible signal processing, and easy feedback of various parameters. Etc. 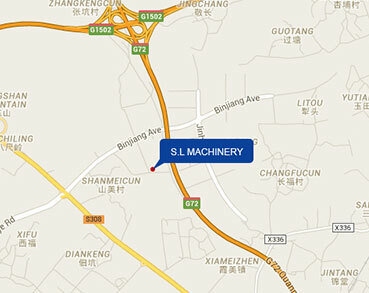 In recent years, S.L Machinery has developed rapidly and has demonstrated its capabilities in the machinery industry. Its product performance has been fully verified. 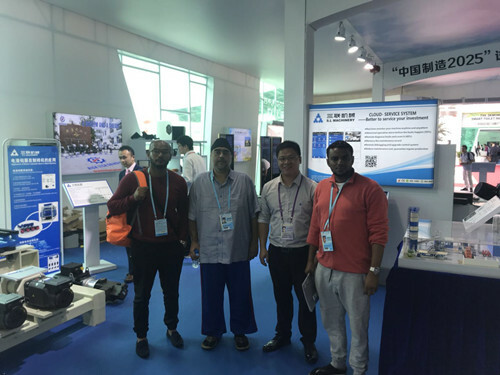 With the “China-made wisdom” gradually becoming the mainstream, the debut of S.L Machinery’s “Servo System” is bound to become a big embrace of “Made in China 2025”. Highlights. 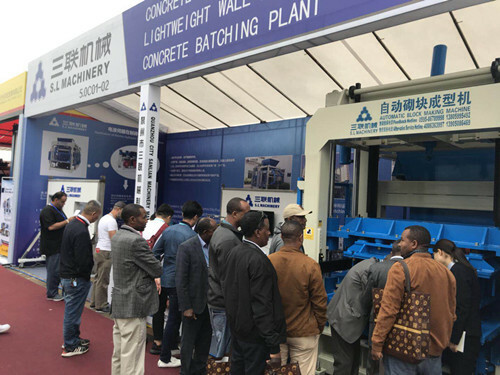 Since its founding in 1993, S.L Machinery has launched three wall material revolutions in China. 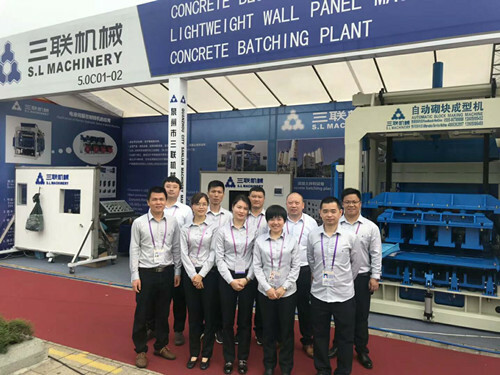 With several revolutionary breakthroughs in the field of new wall panels, S.L Machinery has won the honor of the National Wall Materials Innovation and Innovation Bench-mark Enterprise in 2017. In the past 20 years, S.L has invested a lot of time and energy in the research and development of new types of wall materials, from bricks to blocks, from block to wall panels, from ordinary wall panels to environmentally friendly wall panels. 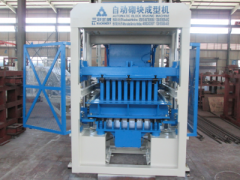 In the innovation of wall materials, S.L Machinery has successfully led the new type of wall. The development trend of wood, put up the benchmark of innovation and innovation of the national wall materials. 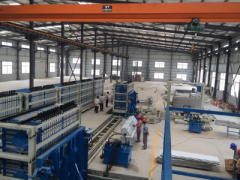 The research and development of S.L Machinery wall panels equipment began with the exploration of fixed manual equipment and gradually formed its own product features. 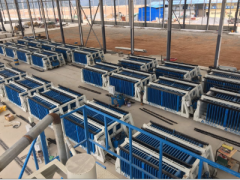 S.L Machinery's wall panel equipment is mainly mixed with fly ash, EPS balls, foaming agent, cement, admixtures, water, etc., and is grouted in a certain proportion. 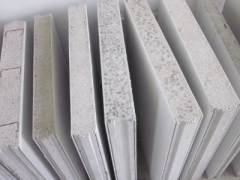 Therefore, the wall panels made from our equipment has the characteristics of light weight, thermal insulation, energy saving, good sound insulation, high strength, quick construction, etc. It can be widely used in the construction of residential interior walls and has a promising development prospect. 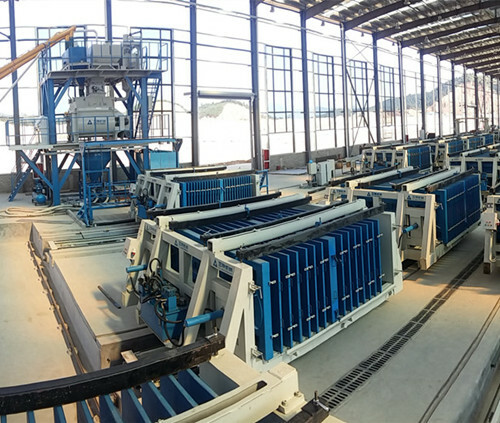 While using technological innovation to promote industrial development, S.L Machinery, as the earliest company to explore wall panels equipment, is ahead of its peers both technically and on the market, has established a leading position in the field of wall panels equipment, and further consolidated the domestic market. Going to the global market. 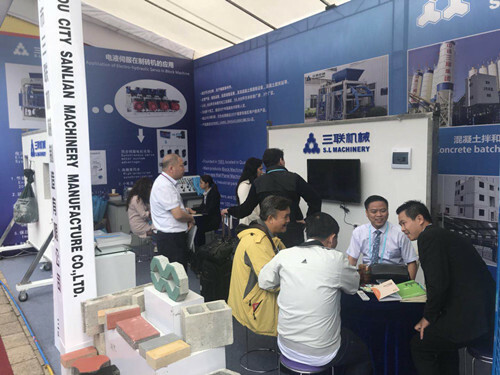 S.L Machinery actively embraces "Made in China 2025", always adhering to the concept of "Quality First, Green Development, and Innovation Drive". It is committed to "China Intelligence" to accelerate the transformation and upgrading of enterprises and drive the subversion of traditional manufacturing through cloud services. The platform is built as a service-oriented manufacturing company. 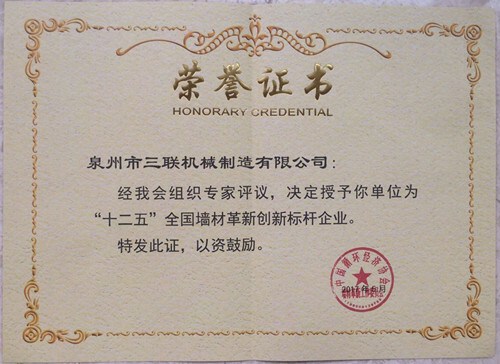 After-sales service is the guarantee for the best-selling of our assurance products globally , The digital remote operation and maintenance platform for mechanical equipment is produced under the background of “Made in China 2025”, which aims to adopt the latest generation of information and information such as the Internet of Things and big data. Industrial automation technology, building a service and application platform that connects with users in real time. Through the platform to understand the customer's production and operation situation at any time, to solve the technical problems and failures encountered in the daily operation of customers, to quickly grasp the opportunity to serve customers; to provide remote online fault monitoring and diagnosis, to provide customers with equipment reliability Production and equipment information through cluster analysis to provide customers with mobile data analysis services, improve customer management efficiency; headquarters of remote operation and maintenance monitoring platform to provide customers with a full range of quality services, to solve the customer's concerns. S.L Machinery will never stop innovation and upgrading and quality service will never end.